The chapters for this book take as their starting point the notion of culture as fields of material and social practice and worlds of meaning that are weakly bounded, internally contradictory, contested, and subject to constant change (Sewell, 1999). Historically, the focus in the research on teaching and learning trends has mediated social practices through language. 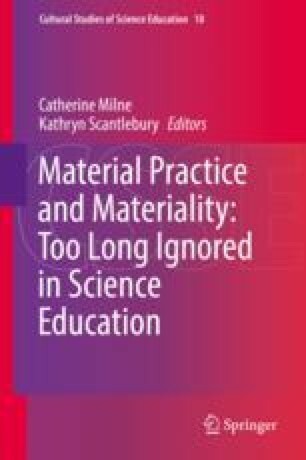 The chapters in this book consider how material and social practices are entangled in ways that enrich our understanding of what it means to know and our connections with reality. The authors use a range of philosophies and positions that give prominence to the material in culture.